I knew someone in the business of making and selling “fine art nature photography.” I never saw anything fine in this artist’s work, but didn’t have the heart to say so. I mentioned that I use my computer to “tweak” my amateur nature photos to improve what I get out of the camera. It’s not a photograph. It’s a wordless expression of me in the way I experience a subject, with the help of a camera and a computer. 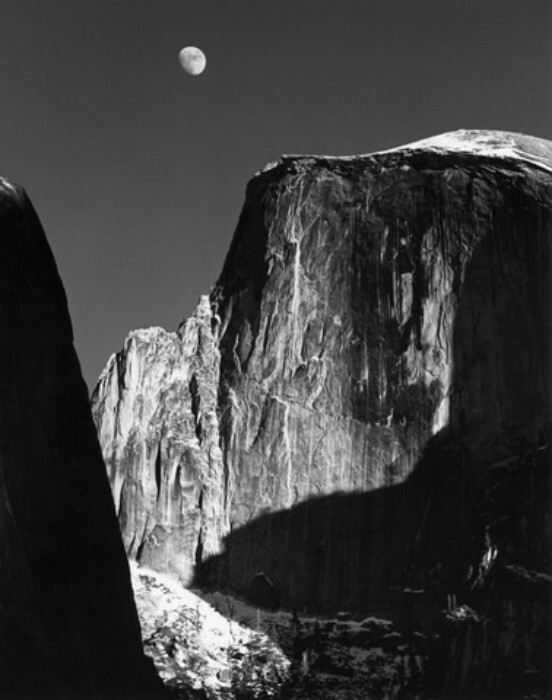 Ansel Adams, Moon and Half Dome, 1960, Yosemite National Park. 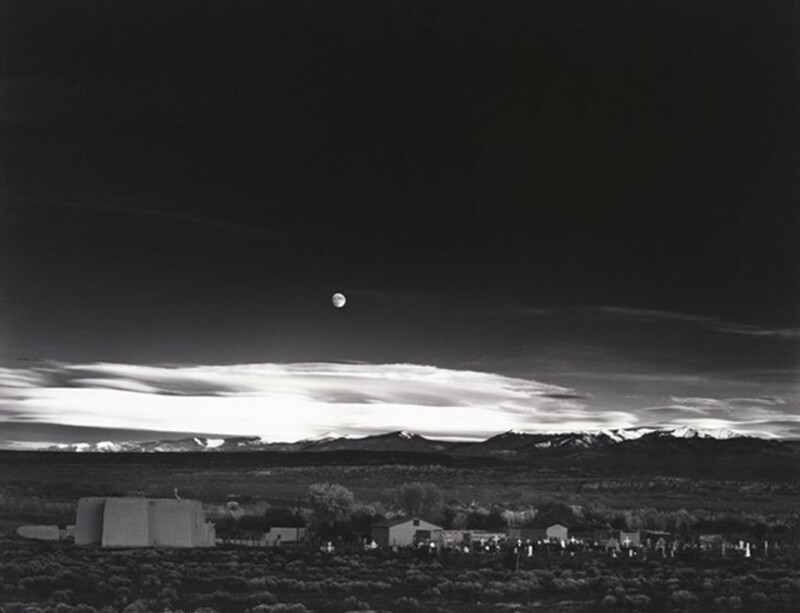 Ansel Adams, Moonrise, Hernandez, New Mexico, 1941. Reportedly his “most famous image,” but I don’t know why. Ansel was known for saying that the negative is the score and the print is the performance of the music. Ansel Adams was unable to take a second shot of the New Mexico moon scene, because the moonlight had changed dramatically before he could insert another plate into the camera. (It was 1941.) I cheated. I had a digital camera that let me shoot several, but only these two were worth keeping. You can’t see the lighted Nazarene church from that position anymore. Trees grow a lot in 13 years. When a guy getting out of his car saw me doing something odd on top of the mailboxes, he got sucked into the moonscape with me, and called to someone else to join us. I am still pleased to know that my immersion was a bit contagious, so they could enjoy it, too. 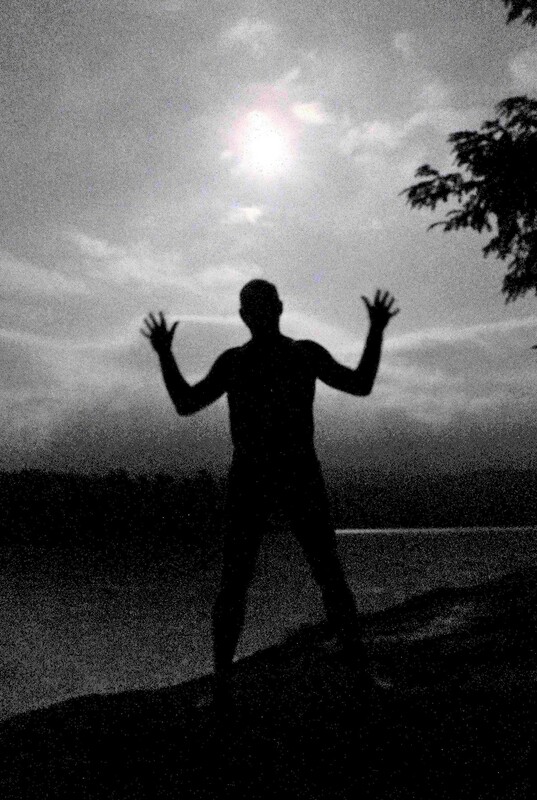 In my earlier moon post, I shared several pictures of me silhouetted against an unusual moonscape at Moose Pond in 2005. On August 26 this year, I went back to Moose Pond (half an hour from Balsamea) to see if I could catch the magic again, because the weather report said I could expect the sky to have the right conditions. It was not the same, partly because my position in 2005 is not there anymore. What was a shrubby spot then is a clump of tall trees now. You can see part of them in these new shots. But it was not solid overcast as in 2005. 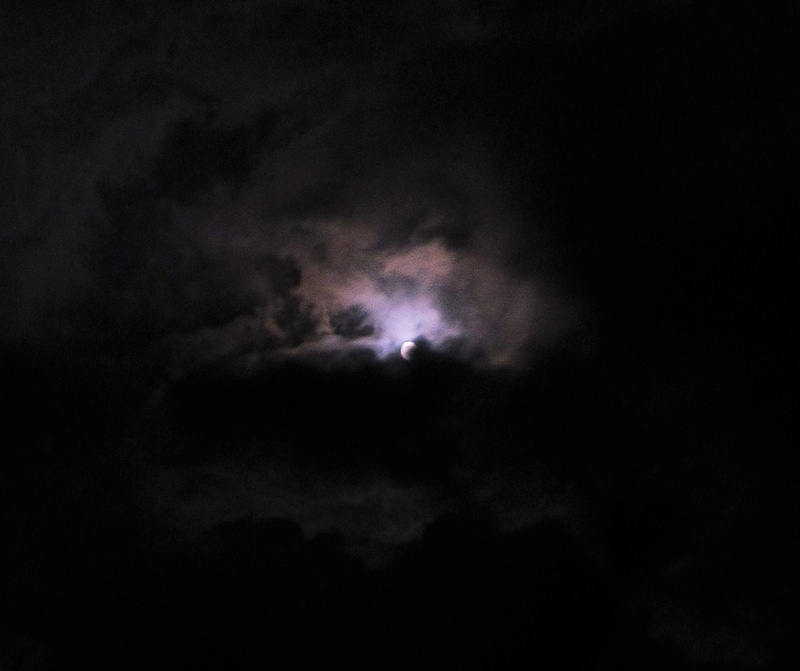 The clouds moved fast, changing the picture every few seconds. I was there four hours searching for a magic moment and experimenting with ways to shoot it when it arrived. Well, Selene my girl, I got all night if you need more time. It seemed it would never come, so I changed my tune. I added the pond and the hills and my goofing around with silhouette, and I doctored the light by computer. I’m not happy with this picture, but it helps the story a little bit by saying something about me. You decide what it says. I’m not sure. 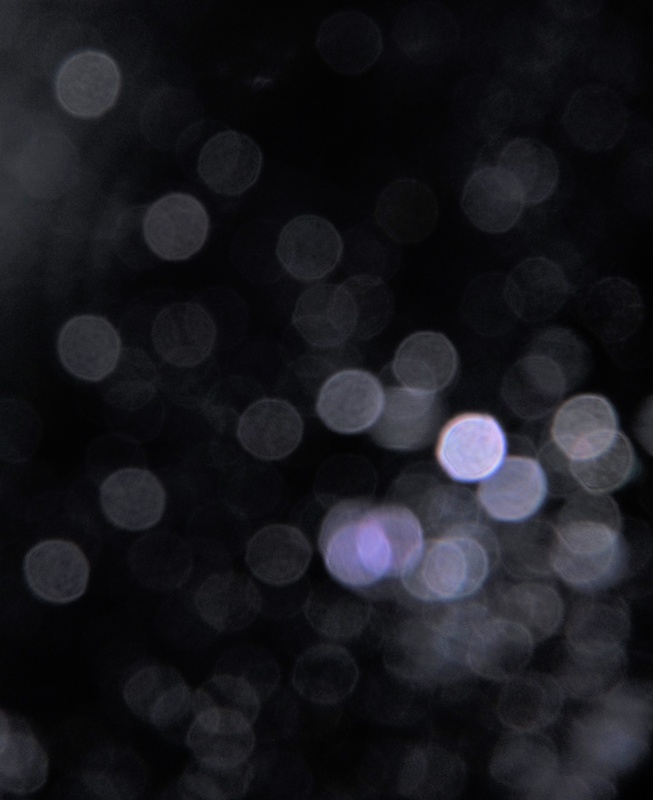 Then I was swarmed by orbs. I have no idea how this happened. Some people say orbs mysteriously showing up in pictures are conscious spirit beings that can be seen only this way. Some of them are quite serious about it. Um … yeah … I don’t believe in the supernatural. I only play with it for fun, like fantasy. Having dealt with some of the orb-believers, this cracked me up. Eventually a few interesting things happened in the sky for me. 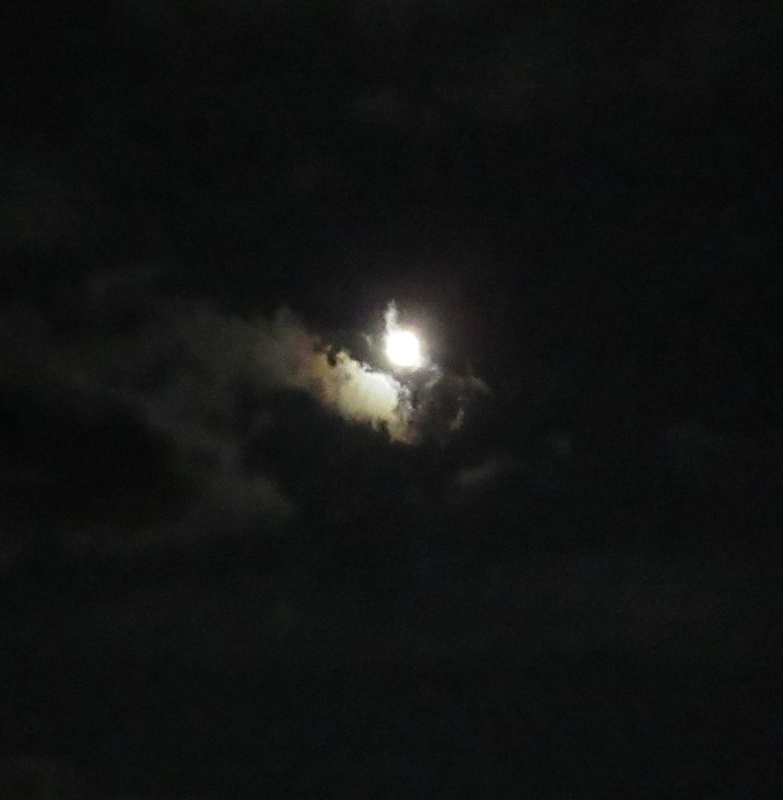 First, just a pretty flash of nature’s wild mind … with a pair of hands and a dog’s face in the clouds. Can you see them? Do you see something else? I’d love to know. 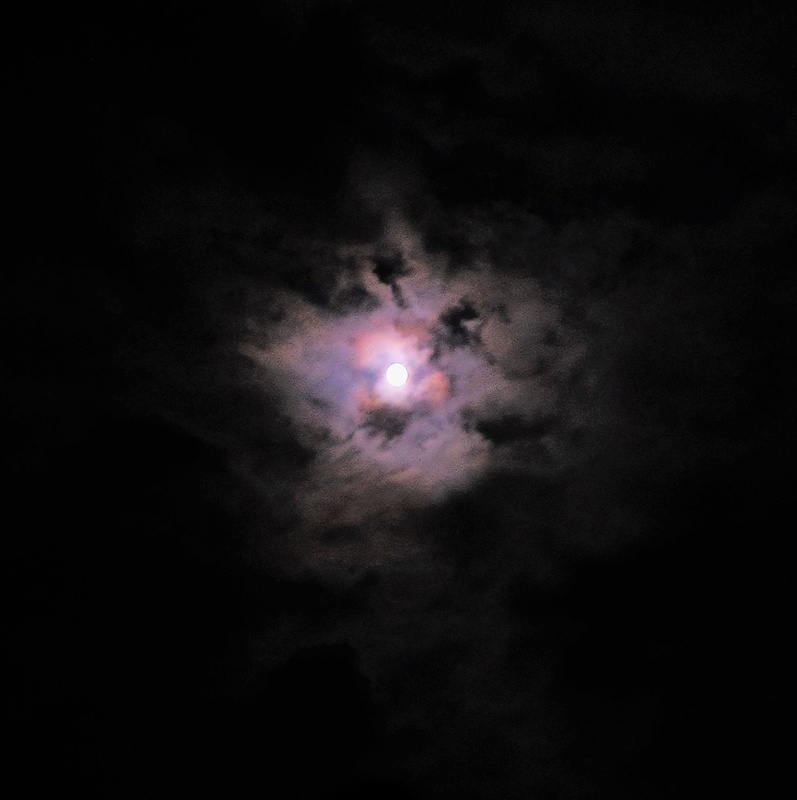 Then, I was entertained by a squared blue-red-purple-white halo around the moon. Square. Love it. A first for me as far as I know. 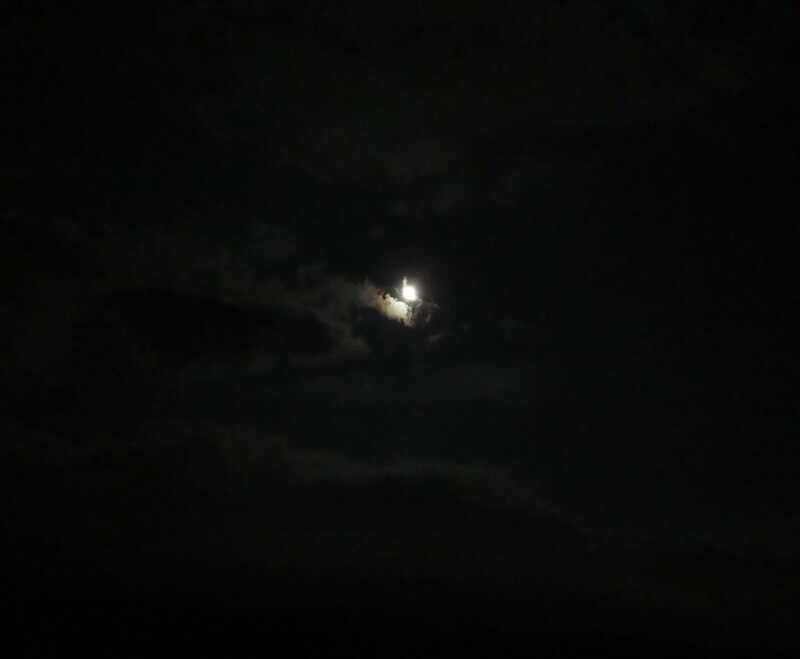 When I started thinking about leaving, the moon split in two. I wonder what the orb-believers would say about this phenomenon, in this case having nothing to do with the camera. It was just there, plain to the naked eye. Well, this spirit-being has been around for thousands of years, Selene, goddess of the moon, and she’s a riot. What’s important is that it’s ME in this picture. 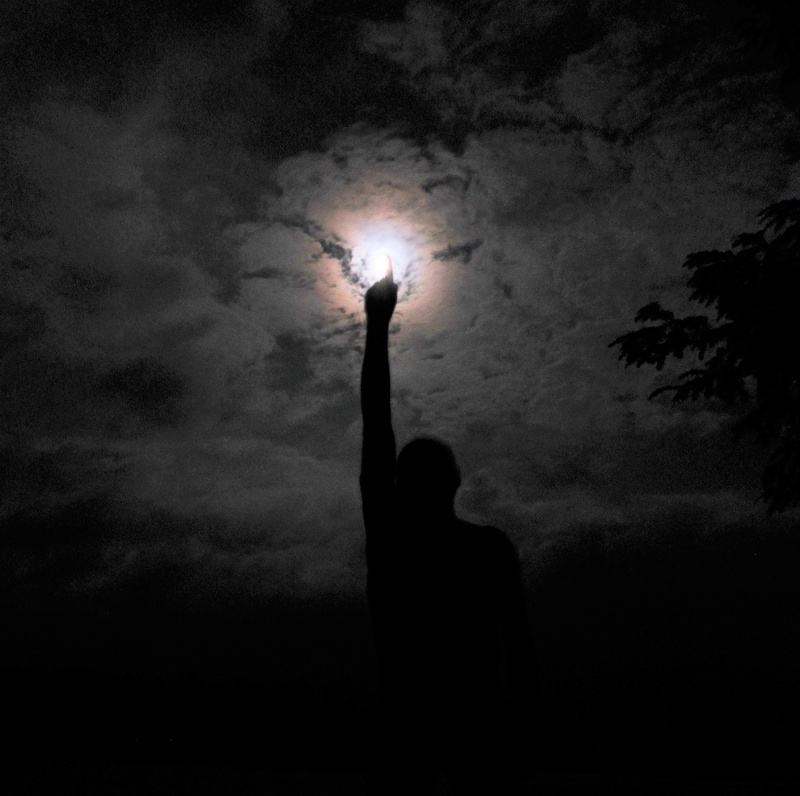 In union with the moon and the clouds and the dark and the warm massive rock under my bare feet and the night air all over my skin. I was not at all alone, though no other people were there. 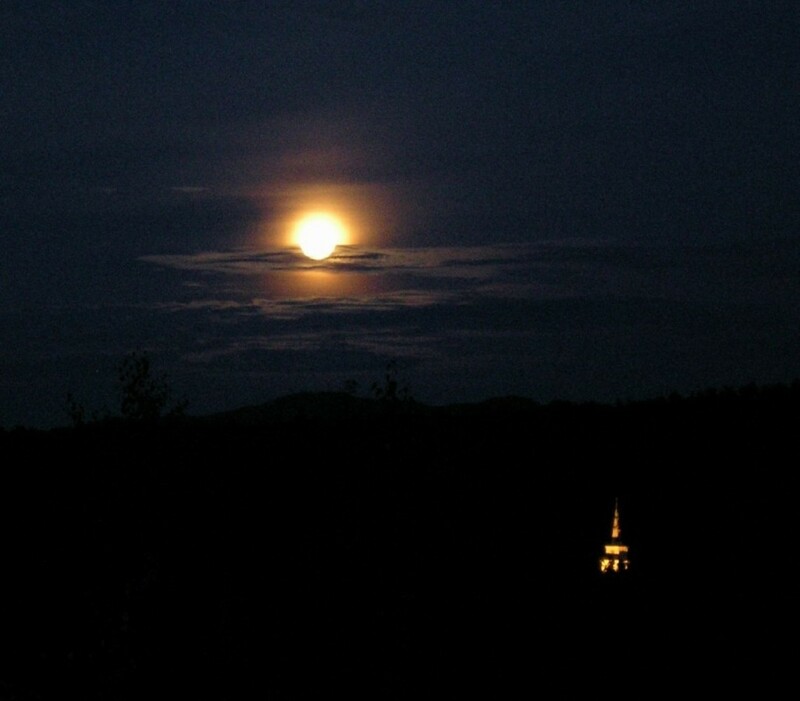 This is my moon, because these images did not exist and could never exist without me. The moon was the score. I was the musician. And it was fun. Immersive. Now it’s fun sharing it with you. So thanks! 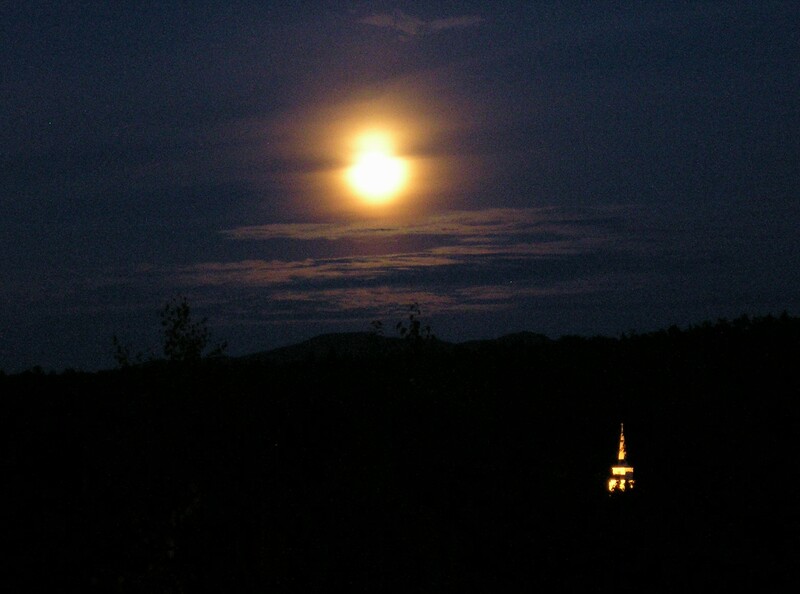 This entry was posted in Art, Astronomy, Moon, Nature Writing, Photography, Sky, Summer and tagged Ansel Adams, Bloomingdale NY, Moose Pond by The Balsamean. Bookmark the permalink. It is not cheating. It is creating a well-composed image and making art with it. Go for it! Maybe ridiculous accusations like hers are just there as challenges or springboards to good things. Yeah, that’s it! I have been teaching photography for 25 years–from darkroom to digital. Part of the art of photography is also part of the science: the eye sees the equivalent of at least 12 stops, the camera can record only 4 or 5. The photographer has to expand the range of tones in the shadows and highlights via time and temperature in the darkroom or histograms in Photoshop. Knowing about polarizers, ISO, shutter speed, aperture, and the characteristics of various lenses is essential. A serious photographer has to know this stuff. Amen. 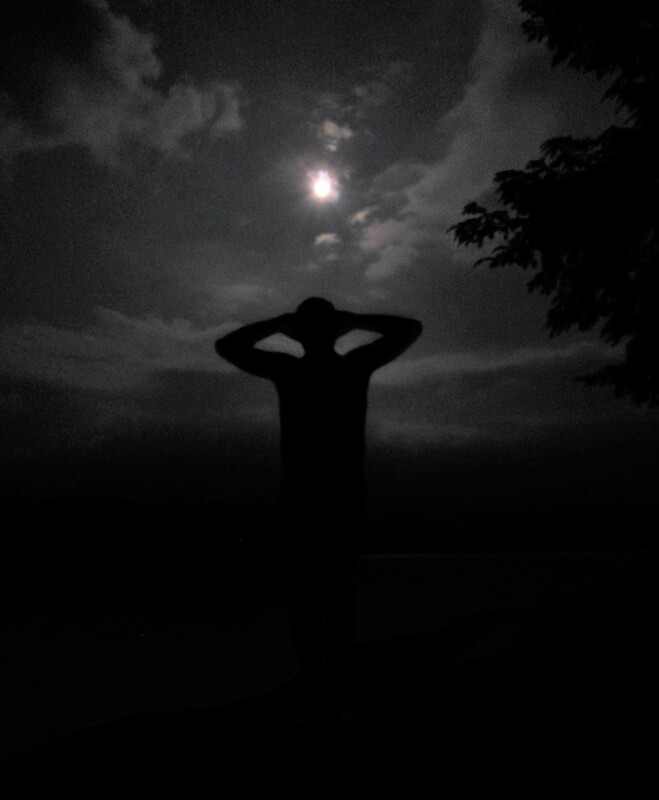 That’s why I don’t call myself a photographer! Seems all types of art have an underlying science, except accidental art like my pictures. Glad to hear from you Joanna! Yeah, that’s for sure. Seems we barely see anything of what’s there. But that’s probably a good thing. I probably couldn’t handle full awareness of anything. Consciousness is great stuff. It paints its own reality as it goes. Then, it gets surprised by something it never dreamed of, sitting right there all the time.